It’s been a while since I’ve had any eczema - and while (by no means) am I saying I’ve ever suffered from eczema really bad, I have had a few episodes in my life. I know quite a few people who’ve had really bad patches of eczema consistently in their life, and up till now, mine has been pretty predictable. Usually in winter I’ll get patches on my neck (hold tight my boyfriend at 18 who was convinced they were love bites! ), arms and back of the legs. Oddly enough, pregnancy seemed to keep it at bay, and after a second winter eczema free, I was smiling with inner delight that it had gone. Fast forward 2.5 months into the year, and I suddenly start to develop a few dry patches on my face, around my lips and eyes. Looking strangely in the mirror, I quickly rub some of my usual body cream into it (currently: coco butter gang) and go about my day. Fast forward a few weeks I notice the dry patches again, this time, under my eyes and around my lips, again I don’t think much of it, and think I probably need a good exfoliation, so I do that, and again throw on some more body cream. AND THENNNNNNNNN things just went down hill. Or as I like to call a series of unfortunate events :) I won’t bore you with the details, I bore my boyfriend and mum enough, but it concerns an bout of conjunctivitis and all of a sudden very dry skin around my eyes and face. Before I knew it I was in a full on eczema flare up, the itchy red skin prominent across my face, unable to wear make-up because you want your skin to breath, but too self-conscious to venture out bare-faced. While I’m definitely no skin or eczema expert, and while I’m still currently figuring out how to get rid of the flare ups on my face (without the use of steroid creams) I wanted to share some of the things I’d found while doing some digging in to this. While it’s a lot easier said than done, in all seriousness though'; love the skin you’re in. Allergies - yes pollen SZN is among us peeps. Get your hay fever medication in FROM NOW (I repeat, FROM NOW). Climate + sweating - according to the National Eczema site excess sweating, being too hot/cold and humidity all can act as triggers. 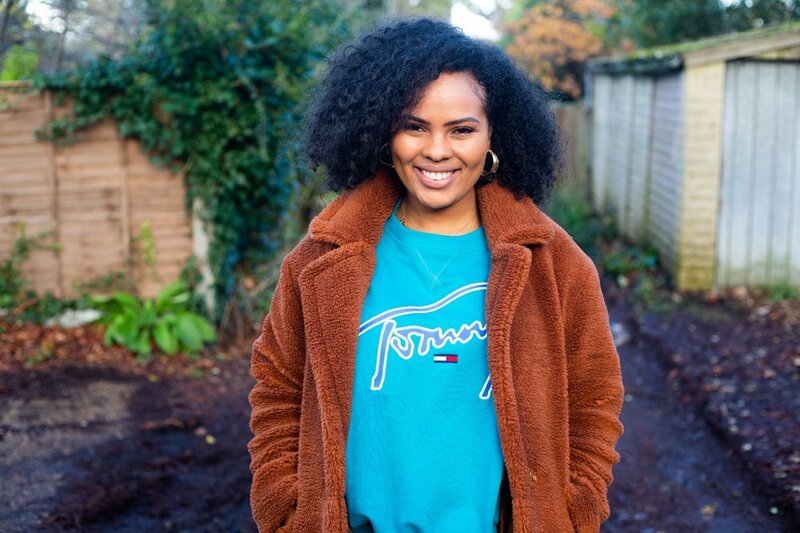 1xtra presenter Yasmin Evans made a really good IG Video post about the dietary side of it too, have a watch here she recommend a food intolerance test to find out which exact foods you’re intolerant to. While I’d love to be able to say with my chest I know exactly what my trigger was, alas I can’t. Doctors often prescribe a steroid cream to get rid of eczema, and while I’ve used this in this past, they thing the skin, which isn’t something I’m eager to do. For a long term solution, I’d like to combat the trigger and also find a natural product I can use on a day-to-day to keep the flare-ups at bay. Here’s a few different things people have recommended - again, with everything, DO YOUR OWN RESEARCH. Hemp Oil: Hemp seeds are the seeds of the hemp plant, Cannabis sativa. They are from the same species as cannabis (marijuana) but a different variety. However, they contain only trace amounts of THC, the psychoactive compound in marijuana. Hemp seeds are exceptionally nutritious and rich in healthy fats, protein and various minerals. (quite a few people recommended this to me, a few did say avoid store manufactured ones. Aloe Vera: loe vera has the following properties that may help with the symptoms of eczema: antioxidant, antimicrobial, immune-boosting, wound-healing. Eczema causes the skin to crack and bleed, making a person more likely to get skin infections. Aloe vera's wound-healing properties may help patches of broken skin to heal more quickly. Coconut Oil: Coconut Oil topically reduces the amount of staph bacteria on the skin, which reduces the chance of infection. And if you’ve managed to get this far and you’re thinking wtf is Kam on about…. Eczema is a skin condition—often affecting people of color— it manifests itself in scaly, itchy patches of skin. Allergies, weather conditions and personal factors such as stress can trigger it and cause flare ups. Everyone’s experience with eczema is different. It can range from a mild childhood experience to a lifelong adjustment.